AUGUSTA, Maine — The Maine House of Representatives has rejected a bill that would have legalized physician-assisted suicide in the state. The bill required physicians to inform the patient of all of their options, including the provision of palliative care, hospice care and pain control. He or she would also be mandated to include in the patient’s record that the information had been provided orally and in writing, as well as a notation that the person could live longer than estimated. 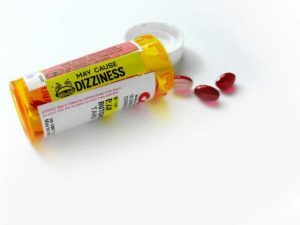 “With regard to a patient who is a resident or inpatient in a healthcare facility, the facility may adopt a policy that prohibits a health care provider from issuing a prescription to the patient for medication or providing medication that the health care provider knows the patient intends to self-administer in a lethal dose while in the health care facility,” the bill also read. While Gov. Paul LePage had already vowed to veto the legislation should it make it to his desk, lawmakers proceeded to bring the matter up for a vote anyway. But Rep. Chad Wayne Grignon, R-Athens, who himself has been diagnosed with cancer, said that giving people the option to end their lives can negatively affect their will to fight and live. The bill was voted down 85-61. As previously reported, in Hawaii, Democratic Sen. Breene Harimoto shared a similar story of how it would have been too tempting to end it all in the midst of his own devastating cancer diagnosis, but faith and hope carried him through. His cancer is now in remission.